There aren’t too many more rewarding things that you can do with your morning – or evening – than listening to Devin Gray. 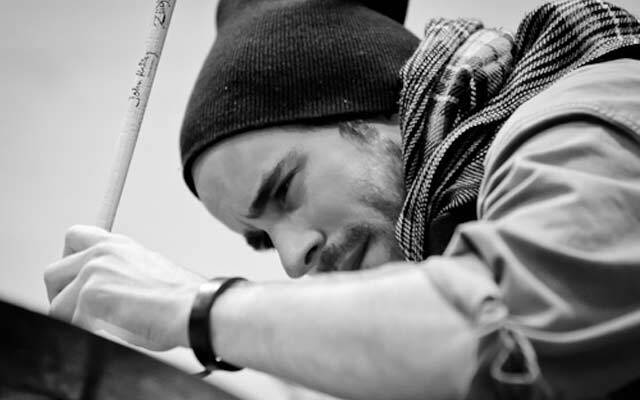 Here is a drummer, you might say, who handles his drum set with far greater facility than many of his contemporaries and almost as if he were playing a piano, only in this instance, making his fingers do the talking on skins rather than on keys. 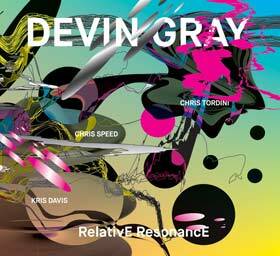 His instrument has a warm and highly coloured range of sound, something Devin Gray exploits to the full. Best of all he is unfailingly musicianly in his approach, his playing full of the kind of insights that can come from long acquaintance with the music. He also lets the music speak for itself – this is entirely un-egotistical playing – unlike the opposite end of the spectrum from drummers whom I shall not name, who employ an interventionist approach to the interpretation of music. In general it is the faster pieces that come off most convincingly in Mr. Gray’s hands. “Transatlantic Transitions”, for instance has lots of subtle details of touch, though I can imagine it having more life still, which other tracks have in Devin Gray’s vivacious reading (elsewhere). But that is relatively speaking. Staying with the other charts on this album for a moment: and suddenly the colouristic possibilities really open up (read that as in “Relative Resonance”), coupled by the propulsion that gives the music a real one-to-a-bar feel. You get the feeling of a perceptible rush and a relish for the instrument itself, a sense of glorifying in the physicality of this music as well as its cerebral demands. Lest we forget, however, this disc is made infinitely more memorable by the presence of Chris Speed and his reed and woodwind instruments, by pianist Kris Davis and bassist Chris Tordini as well. These musicians find much to dance about in the music and this gives the repertoire a real vigour and life – and joy too. These musicians have much to say as well. They are all celebrated soloists but do not intrude upon each other, rather they seem to have found a way of sharing the glories of the music rather equitably. In intimate passages you are constantly being made aware that you are in the presence of musical royalty as well. Even though the music can be simple at times it never sounds too plain and the extraordinary tension that Mr. Gray has created in the core of the compositions is full explored through outstanding contributions from the musicians especially Mr. Speed and his horns. Again “Relative Resonance” is a case in point, where the inexorable qualities of the chromatically inflected lines are superbly illustrated by the musicians. I have the deepest respect for musicians who can keep this up and I suspect that with further explorations of the music contained here this is sure to become a reality. Unashamed of the pregnant pause, the decorative flourish and the grand percussive gesture, Devin Gray ensures throughout that everything fits so nicely in to place that this entire repertoire is played with perception and real musical intelligence. A thoroughly enjoyable disc from every aspect.